Falling deeper and deeper into the rabbit hole; Ultra Music Festival is back with another tour-de-force Resistance lineup. 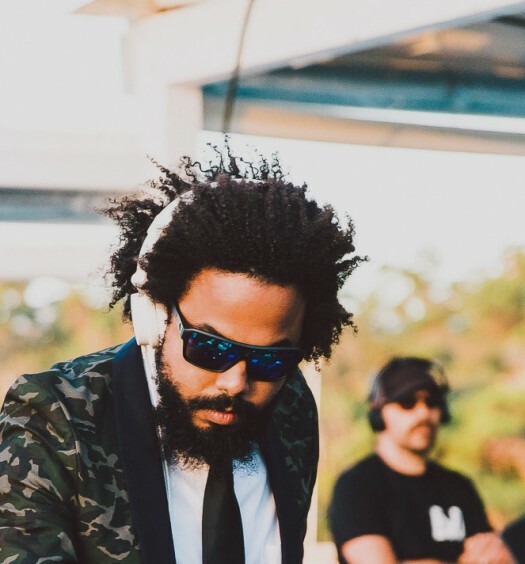 Resistance is Ultra’s philosophy to showcase the more bohemian underground DJs of the electronic music spectrum. The lineup is heavy in techno, tech house, and deep house. 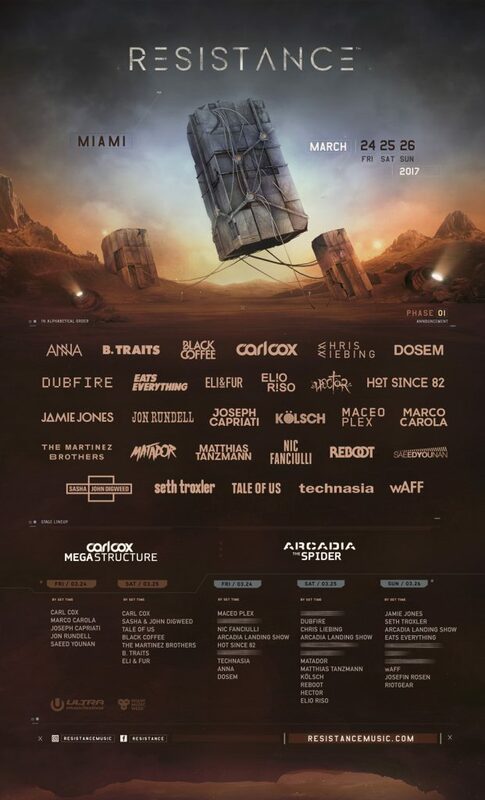 The king, Carl Cox, will host his megastructure for Friday (3/24) and Saturday (3/25). Joining the king will include Tale of Us, Black Coffee, The Martinez Brothers, Eli & Fur, the return of Sasha/Digweed, Jon Rundell, Saeed Younan, B. Traits, and the Italian stallions: Joseph Caprati and Marco Carola. Step outside the space odyssey that is the Carl Cox megastructure and you will enter the Arcadia stage: a massive arch that resembles a metallic spider that shoots out flames. 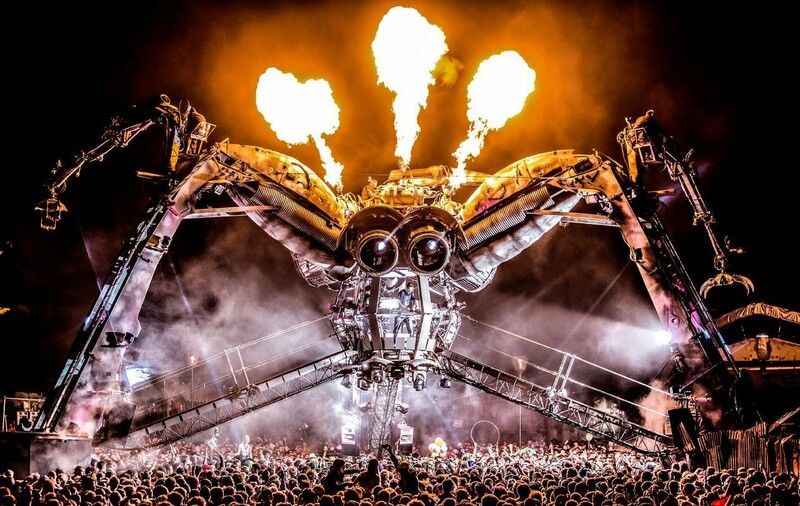 Just a few names of DJs spinning inside the industrial arachnid will include Maceo Plex, Hot Since 82, Dosem, Dubfire, Chris Liebling, Matador, Hector, Jamie Jones, Seth Troxler, Eats Everything, Waff, and many more. Some slots are still a mystery. Ultra Music Festival needs no introduction. Anyone with the slightest interest in electronic music knows about the sheer power and thrill of an Ultra Music Festival weekend. You will not want to miss out. Ultra Miami starts on March 24th and ends on March 26th. Get your tickets soon, because they are more than 90% sold out. See our photos from Ultra Music Festival 2016 here.